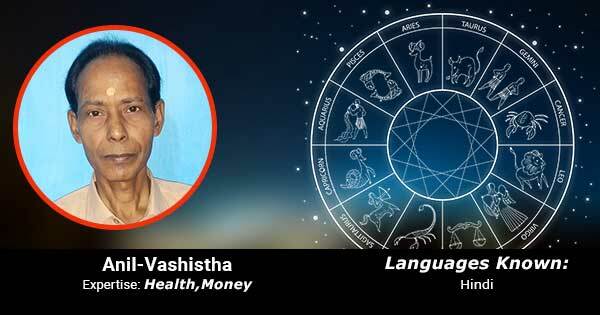 Anil Vashistha is a qualified Astrologer and Vaastu Consultant who gives accurate future readings through a medium of Horoscope he is a Professional Certified Consultant who also uses her intuition to offer guidance to all of her clients, encouraging them to move in a positive direction and face the challenges that may lie ahead of them. The remedies suggested by her have scientific background and are very easy to follow which does not disturb the regular schedule. While predicting he also highlights the period to be taken care of health and for money investments which helps to plan future steps he has a repeat clientele of 99.9%. Join the many thousands of people who have used her services to gain a better understanding of their lives, direction and where they are going.11 year experience.